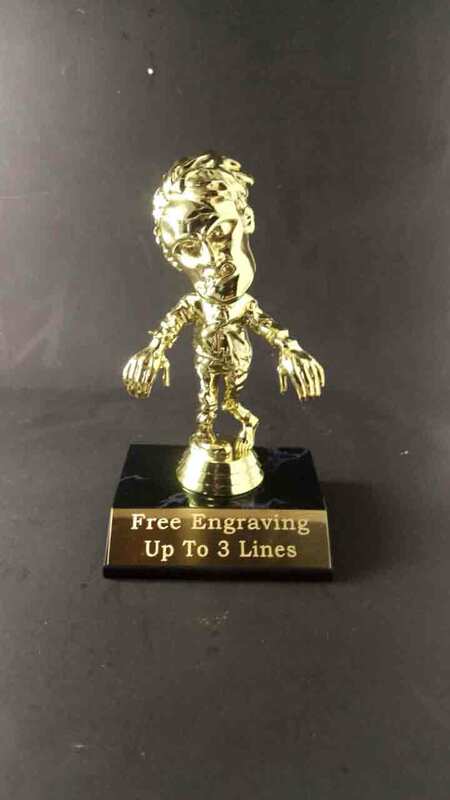 Halloween Trophy with fee engraving on brass plate. 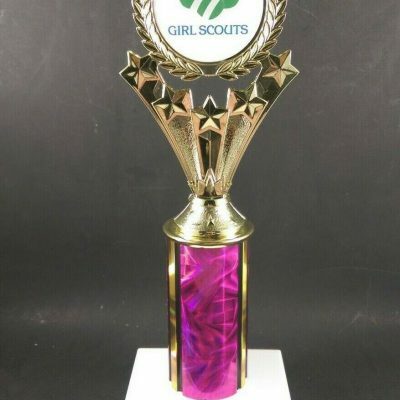 This zombie Halloween trophy is perfect for a Halloween party gift, costume contest award, or a “walking dead” award. 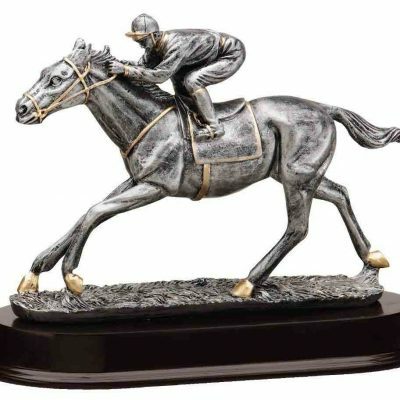 The trophy measures 6 inches and comes on marble finish plastic base. 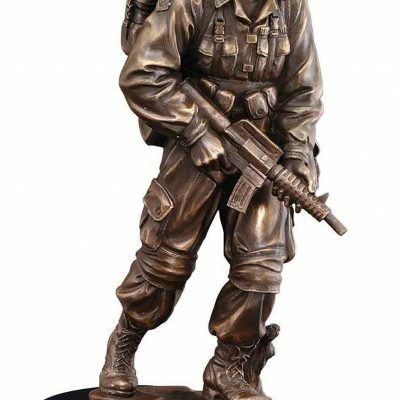 Free engraving up to 3 lines on brass plate is included.